* Movin' On - 30 Songs by Hank Snow. You got your Hank Williams, your Hank Thompson, your Hank Cochran, your Hank Penny ... 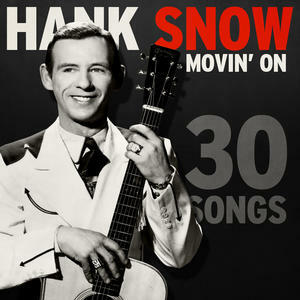 But ranking way up there in the pantheon of country music Hanks is Clarence Eugene Snow ,,, aka Hank. Besides his music, Snow proved you don't have to be from the South or the West to play authentic country music. Or even the U.S. He was born in Nova Scotia in 1914. Snow didn't sing about punching cattle, but he has a great sound about jigging squid ("The Squid Jiggin' Ground," unfortunately not included here) an homage to his shipmates on the fishing boat where he worked as a cabin boy after running away from home as a teen. He's also a link in a great chain. Ernest Tubb got him on the Grand Old Opry in 1950. A few years later Snow did the same for a young singer named Elvis Presley. Elvis did a decent version of "I'm Movin' On." But he did an even better job on another tune Snow originally sang -- "(Now and Then There's) A Fool Such as I." This album includes some wonderful Snow hits such as his Jimmie Rodgers tribute "Jimmie the Kid" and "I Don't Hurt Anymore," which was an early hit for Snow. It's not that well known now, but it's classic early '50s country. One of my favorites here is an upbeat country gospel tune called "My Religion's Not Old Fashioned But It's Real Genuine." Snow delved into a little country proto World Beat with "The Rhumba Boogie." And there's a little "countrypolitan" Nashville Sound here with "Invisible Hands," which features an old fashioned roller rinky organ and background choruses. * Skiffle - Oldies But Goodies by Various Artists. There's something goofy and contradictory about British skiffle music of the late '50s. At its best it sounds like a logical mutation of the Memphis Jug Band or Cannon's Jug Stompers. At its worst it sounds like some real-life version of the over-earnest folkies parodied in A Mighty Wind. It wouldn't be that much of a stretch to imagine any of these bands playing "Potato's in the Paddy Wagon" in British accents. But it's guileless and it's fun. The Chas McDevitt Skiffle group sound like they're having a blast jiving their way through the song "Deep Down." And it turned a lot of people onto some great American songs -- "Stack O'Lee," "Worried Man," "House of the Rising Sun" and others. And remember, John Lennon's first band was a skiffle group. 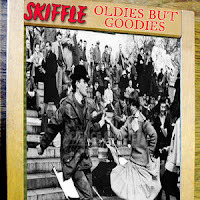 Most Americans who know anything about skiffle are familiar with Lonnie Donegan, who had pop hits in the '50s with "Rock Island Line" and the novelty classic "Does Your Chewing Gum Lose Its Flavor." This collection only has one Donegan tune "The Passing Stranger." It's a slow, spooky tune, unlike most the frantic paced washboard clacking sound associated with the genre. Instead this album focuses on soe of the less famous perpetrators of skiffle, folks like McDevitt, The Coffee Bar Skifflers and Nancy Whiskey -- (Shane McGowan fans just perked up their ears.) Born Anne Alexandra Young Wilson, this sweet voiced Scottish lass, joining up with McDevitt's group had a hit with Libby Cortton's "Freight Train." She also does a pretty cool "Greenback Dollar." Here's Nancy and Chas in action back in 1957. It's not on this album, but below is some more authentic English skiffle from the '50s at it's geeky cool best. And you might recognize the guitarist. * Thunder and Lightning by Bloodshot Bill. What is this, Canadian month? 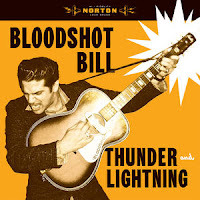 Like Hank Snow, Bloodshot Bill hails from the Great White North. Thunder and Lightning, his latest, is 14 songs, mostly originals, in which Bloodshot sings of lost loves, good and bad. Like his recent work with The Ding Dongs (with partner Mark Sultan) and Tandoori Knights (with King Khan), the recording is inspiringly lo-fi, sounding like scratchy old 45s from long- forgotten labels. In fact, it sounds as if it’s recorded in mono. In some ways, he’s the heir to the late Ray Condo, a fellow Canuckabilly. * 13 songs from Fats Domino and Rhythm & Blues Friends. This is a bizarre little collection. There are a bunch of Fats Domino songs here -- live tracks recorded God knows when. I downloaded a bunch of them, classic Domino hits like "The Fat Man," "Blueberry Hill, "Walking to New Orleans," etc. But mostly the 100-plus tracks are songs by a variety of R&B songers from the 40s, 50s and early '60s. I nabbed some tracks from Johnny Otis, Eddie "The Chief" Clearwater, Big Joe Turner and others. Some may indeed be Domino "friends." Who cares? I stumbled onto this album when looking for a particular song. On their new collaboration Lousiana Sun, Voodoo Rhythm bands Mama Rosin and Hipbone Slim & The Knee Tremblers do a song called "Voodoo Walking" that was inspired by "It's Your Voodoo Working" by Charles Sheffield. I had to get the the original. Sheffield is a little known Louisiana R&B belter who did this tune in the early '60s. He got the hoodoo in him. So I found it in this compilation. "Voodoo Walking" appeared on my latest Big Enchilada podcast. So did "Davey You Upset My Home" by Joe Tex. 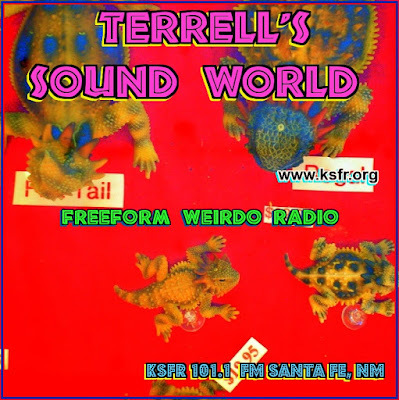 This is is a politically incorrect novelty tune inspired by the 1950s success of the Davy Crocket television show. A woman's love for the man from Tennessee leads to domestic violence. Then there's what I call the "Wino Suite": "Wine-O Baby" by Big Joe Turner, "Wine Wine Wine" by Floyd Dixon and "Red Red Wine" by Milt Buckner. No, it's not the Neil Diamond song. Maybe this month I'll download "Wine O Wine" by The Gators. In fact, I'll probably download all the tracks I skipped last month.